flavor of ice cream out there! Kind of a nice metaphor. . . 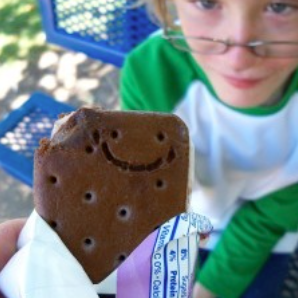 While eating that ice cream sandwich, be sure to Stay Out of the Sun. That’s the other holiday we’re celebrating today over on our AUGUST calendar of a month full of Smiley Silliness. It’s also Eat Dessert First Day. I guess that means start every meal with dessert while you relax in the shade. Today is also the anniversary of the first Lincoln penny back in 1909. I’m particularly partial to pennies. Today we say happy birthday to James Baldwin (1924). Boy, do I remember my first read of this amazing author. Sticks with me today. Isn’t that a wonderful thing about literature?! As we set off into the month of August, remember it is Pooh Bear Friendship Month. Here’s to hoping we all have a Pooh-Piglet relationship even just once in our lives.